is the perfect place to buy everything you need so that you can look the part . We offer t-shirts, trousers and jackets which are decorated with camouflage patterns. Kids Army Shop also sell a multitude of extra bits and pieces to complete any young soldiers dream. Face paint can easily help you to complete the perfect army outfit with minimal effort too. 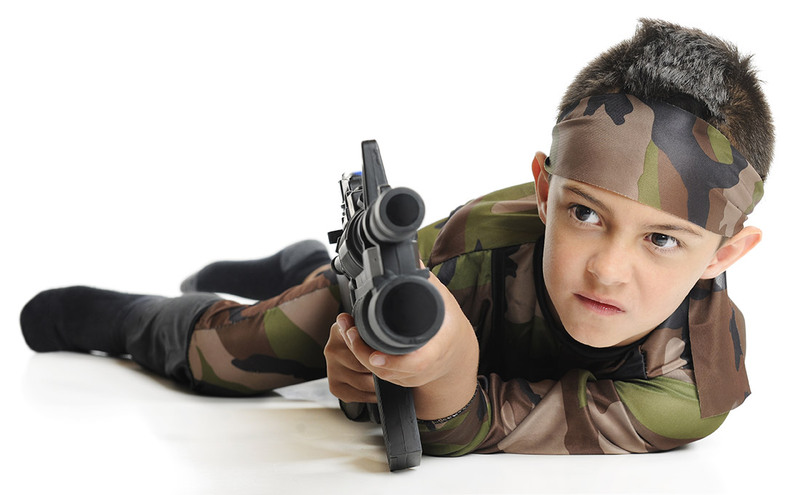 An army themed den is sure to be popular with your youngsters. Make den making fun and easy using one of our camo nets or tarpaulins. Then, the children will be able to put it up in good weather and have their own space in the garden where they can hide and play. You will find all of these things and much more inspiration at Kids Army Shop. The beauty of Kids Army Shop is that you will be able to get everything you need and a lot more besides from one place. Also included is FREE next working day delivery for mainland UK. Fancy becoming a KAS stockist? then your in good hands right here at Kids Army Shop. We now supply to the trade, selling to museums, shops, market traders theme parks and many more outlets. KAS wholesale has gone from strength to strength since offering our exclusive products at wholesale prices to trade customers. If you wish to open an account just fill out the form on our trade page today. We offer a fast efficient and friendly service to all our trade customers with FREE next day delivery included.